I have had a long week of packing boxes. It is hard to put all memories into boxes and realize that we have had many “lasts” this week. Right now I am having breakfast with my girls for the last time at our table in this house. But with that being said, we are on the verge of many many firsts too. So on one hand I am very sad and sentimental but in the same breath I am very excited for what God has ahead for us. The picture below is when you come downstairs to find your 4, 3, and 1 year old having snack. 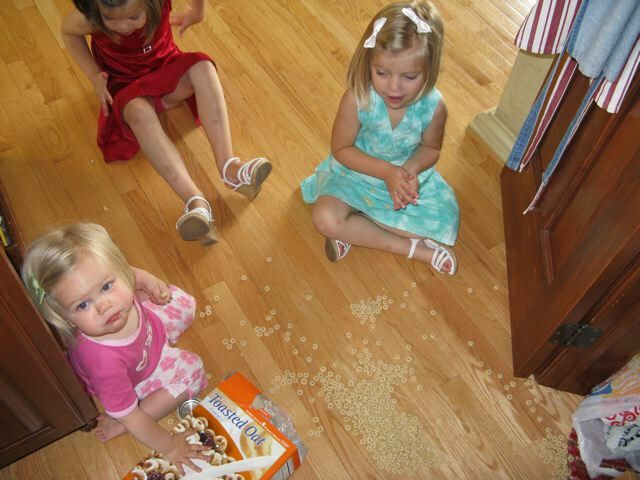 Adie started it all with the dump of the cheerios box. My brave Gracie got 4 shots on Tuesday for her check up…She didn’t cry at all – not even a whimper! 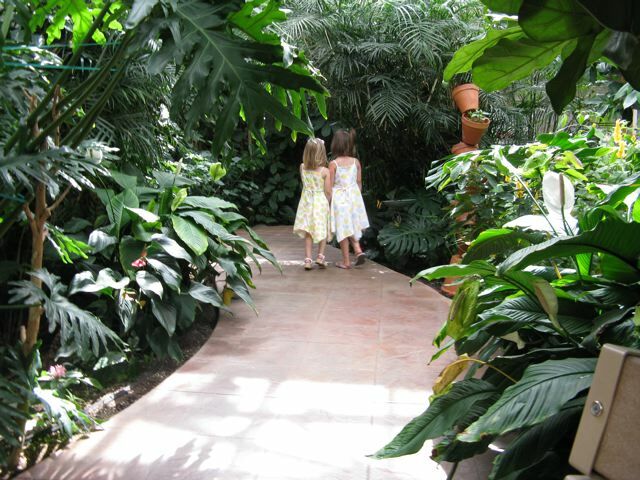 For her bravery, we all went to the Butterfly House for one last time. 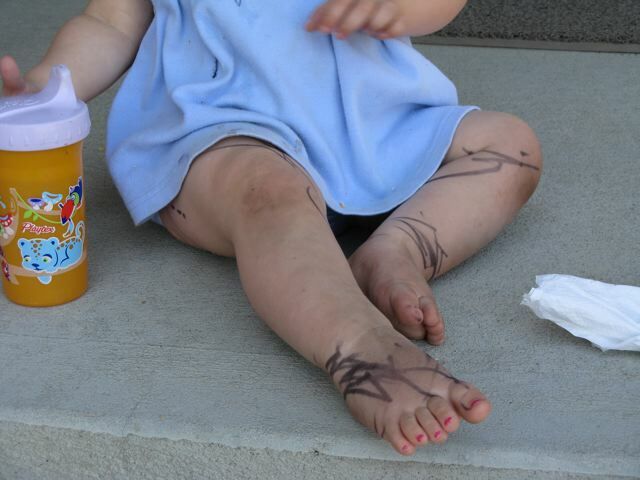 This is what happens when your one year old finds the sharpie marker on top of the dresser. I am so thankful she did not marker the carpet. She did manage to get the suitcase and all the diapers in the bag but nothing on the floor! Praise the Lord! Well, I am off to meet my mom half way to Sauk Centre because she is going to watch the girls while I finish packing and move on Saturday, Lord willing. I know they will have a lot more fun with Nana and Papa than they will with Mommy and Daddy this weekend. Please be praying for smooth transition for us this week and that the Lord will provide for all of our needs and that I don’t let fear creep into my life. Joel and Michaela were married on Saturday. It was the most beautiful day for a wedding. We were so excited to be able to be apart of it. Grace and Lydia were the flower girls. They had the “bestest day ever…and it was really long.” G & L had been practicing the Chicken dance for months and were roaring and ready to go for the dance later that night. Lydia taking a break to enjoy the swings. Leah was a flower girl at my wedding…six years changes a little girl. Grace got a “new” pair of skis. If you know me well, you know that I LOVE to garage sale and this was an awesome deal. She is excited to hit the slopes this winter. Now I need to find a pair for Lydia. 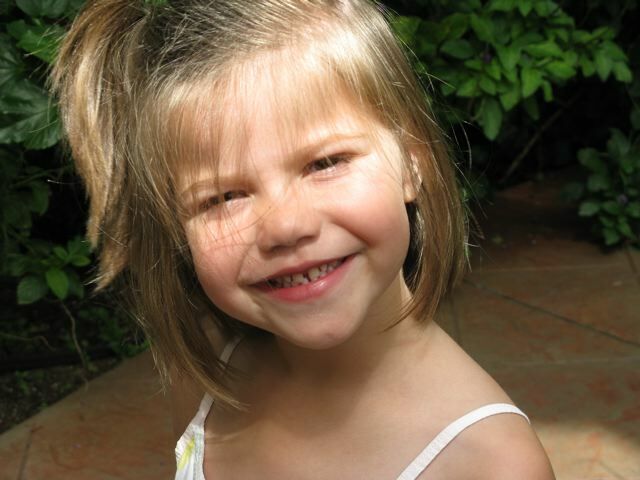 This is Adie’s “CHEESE” pose – where did her eyes go? A couple of years ago our girls started this tradition where they would want to wash our feet. We weren’t trying to be super spiritual about it, they just loved to scrub our feet. There is something amazing when three little girls want to serve you. It reminds me of the night when Adie was born. I had a super long day and Carl was working late. After baths, I laid on the hallway floor and just told Grace and Lydia how tired mommy was that evening. Grace stood up and ran to the bathroom and got the bottle of lotion and started rubbing my feet. Pretty soon my whole belly, arms, legs and back had lotion all over. Four little hands serving their mommy… I think it was one of the most memorable back rubs. Someday it is my heart’s desire to adopt a couple of children from Africa. I know that the Lord has put this desire into my heart long before I ever had children of my own. I don’t know God’s timing but there are babies out there that belong into our family. Someday I am going to have a huge dining room table and it will be full of kids. God is the only one who knows how each one will come into our family. Until then…let the adventure begin! Be praying for Kim who needs the power of Jesus to become drug free and free of abusive relationships.